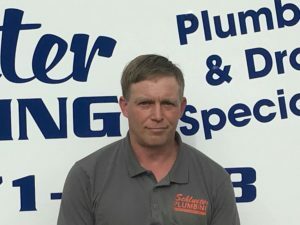 Nathan Hudelson owns Schlueter Plumbing and has 14 years of experience. He’s licensed in three states for Journey Plumbing. His other Certifications include Backflow Tester & Sewer Tapper in Ohio and a Septic License in Dearborn County Indiana. On the volunteer side, Nathan holds Firefighter 1 & 2 Certifications, Fire Instructor Certification, and an EMT Certification. He is a volunteer firefighter in New Trenton Indiana. Joe is a long time friend and fellow firefighter for the local volunteer fire department with Nathan. 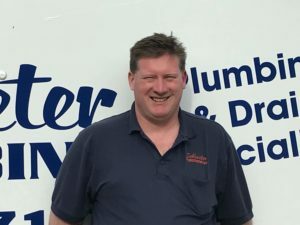 He’s been with Schlueter Plumbing for over a year and brings years of construction and mechanical experience. Joe’s a problem solver and a dedicated employee and will work hard to solve your plumbing issues. Read our reviews and see how customers love working with Joe. 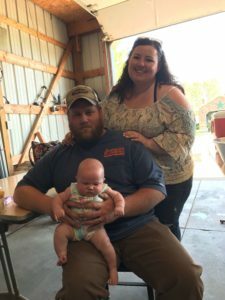 Ryan has been with Schlueter Plumbing for over four years; with many years of experience, he is currently in his 4th year of plumbing school. He will graduate and take the Journeyman exam soon. Ryan’s dedication to Schlueter shows in his performance and is extremely professional. Customers love working with him, and he’ll make fix all your plumbing needs. Tatiana works for Schlueter and has been with the company for two years. She manages the office, and is the voice you hear when you call our number. Tatiana can work with you in our front office.